Jacqueline recently returned to us after a 6-month hiatus, and we’re so glad she did! While still a youth student in terms of age, we’ve started integrating her into our adult class, where she’s been excelling. Her focus while training, as well some great pep talks from mom, dad, and Coach Daniel helped her to medal in three different divisions. Liam has only been training since the end of August, but he’s made great strides in terms of progress. We love that he chose to compete less than four months into his training. He worked hard leading up to yesterday, and it definitely showed on the mats. Great job, Liam, on earning bronze! Tim Sullivan: Didn’t place, but still did awesome! Kenny surprised all of us as he transformed his from his usual laid-back self into a force to be reckoned with on the tournament floor. 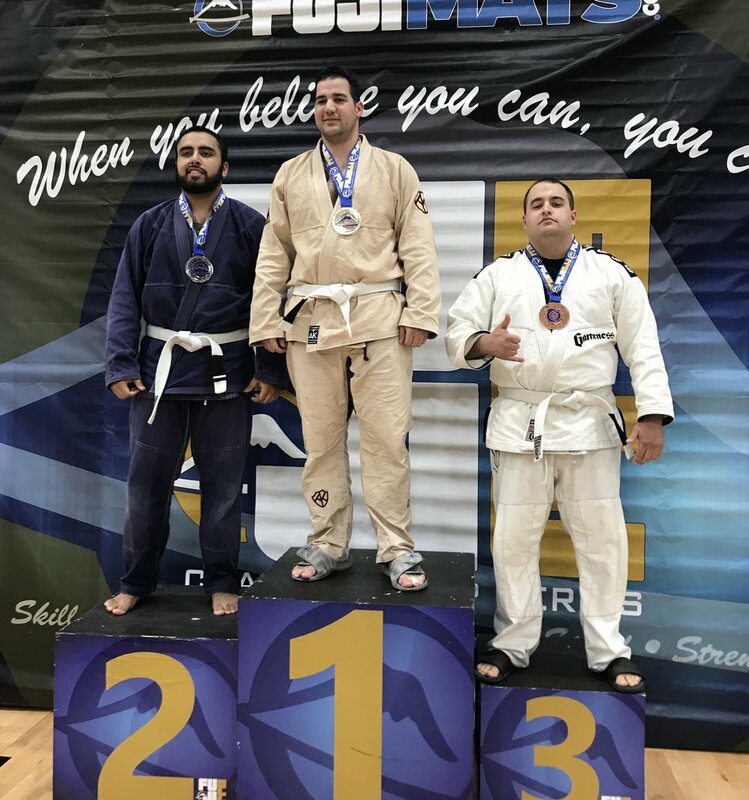 He implemented some techniques that were learned very recently and almost submitted his first opponent, winning by points instead. He was delightfully aggressive while still showing control and using sound technique throughout his matches. 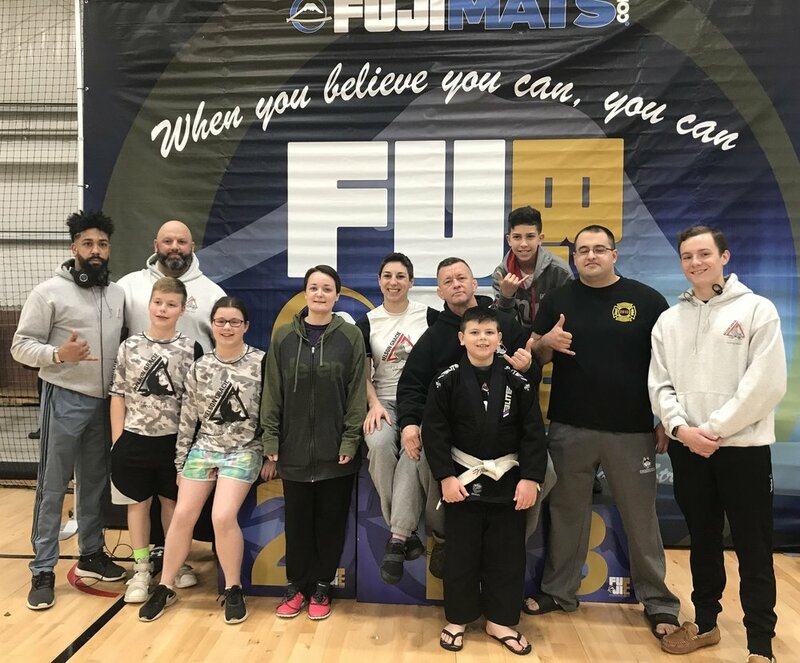 Jesse has been with us for less than six months and, despite juggling a busy work schedule, volunteer firefighter duties, and his BJJ training, he was focused on entering this tournament. He worked hard leading up to this, and it showed on the mats. While I only caught glimpses of his matches, it was clear that he worked hard for that bronze medal. Dawn hasn’t even been with us for three months, but I’m convinced she’s going to surpass all of us some day. She learns extremely fast and approaches her training with extreme focus. According to her own analysis, she did one take-down, escaped to take a dominant position once each match, and did one guard pass. And all this happened despite being bumped up to the “over 6 months experience” division. Since Dawn and I were assigned the same mat, I was able to watch all three of her matches, and I noticed that she did a great job applying the techniques she learned in class to a tournament setting. Tim has been training with us just over three months, but he didn’t let that scare him away from competing. Sadly, I only caught one of his matches, so there’s not a whole lot I can say, but he did great in that one! While he didn’t place, I think it’s important to remember that there are a lot of variables in a competitive match, and they don’t always work in our favor. 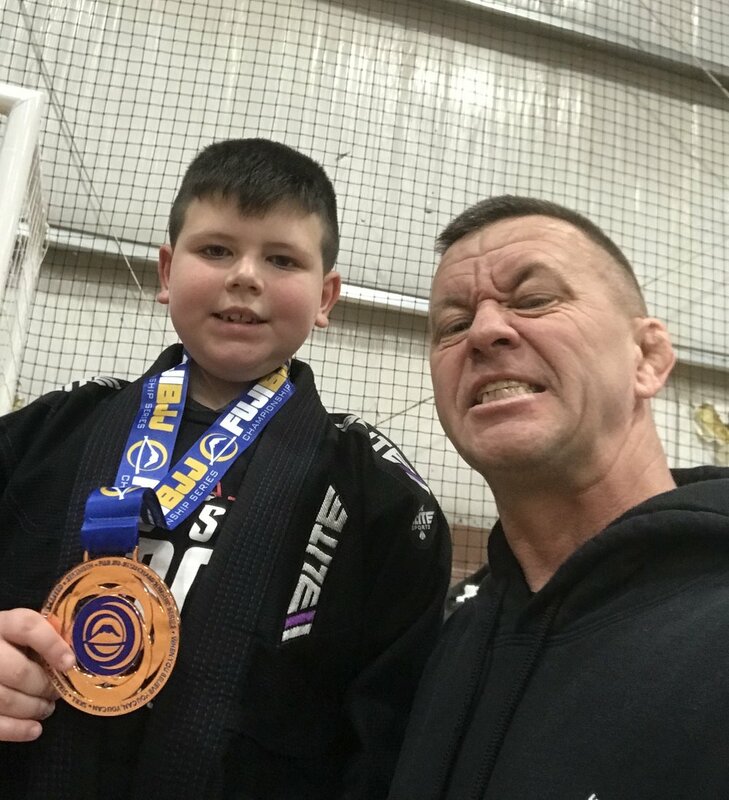 Considering his training experience, the size of his division, and the fact that it was his first tournament, he should be proud of himself. I know he’ll come back strong in the next one! Steve is the first in this list who has competed previously. 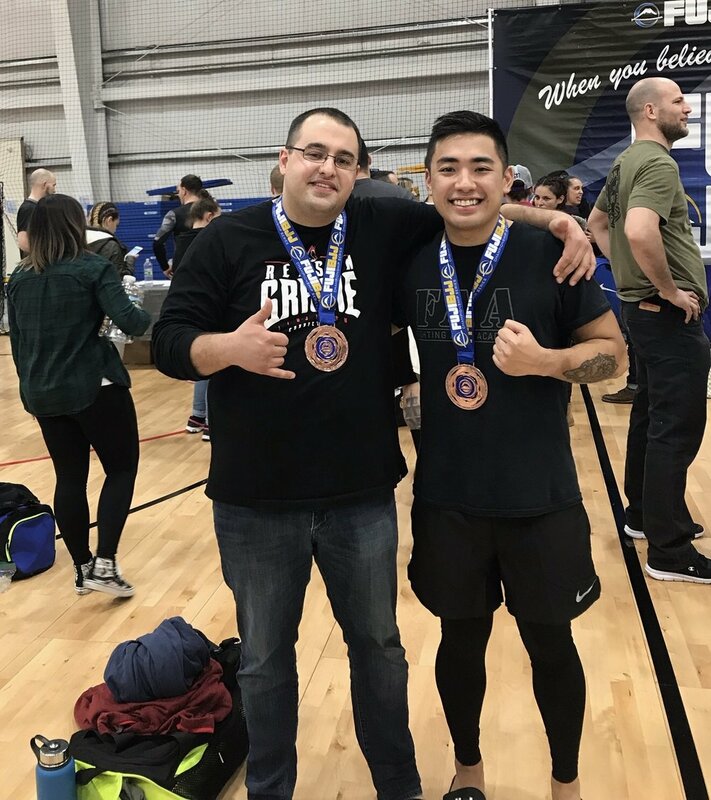 He was extremely dedicated leading up to this, as both a BJJ and yoga practitioner. In fact, it was unusual to show up at the academy and NOT see Steve. Judging from what I saw, this was his best tournament performance yet and he stated himself that it was the most satisfying. I don’t like to write about myself, as I believe I stated in a previous blog post, so I’ll just say that I’m proud of my performance yesterday. It was a blast to see so many of my teammates competing, most for the first time. Every single person met and exceeded the expectations that Coach Daniel and I had, and we can’t stop talking about how proud we are of everyone. It takes a lot of courage to sign up for something like this, and we hope you all do it again in the future!